At the completion of most wedding ceremonies in Maleny, couples have to drive away from their guests to seek the perfect backdrop for their special photos.No such stress at Vue de Lumieres. Just take a few steps in any direction for a change of spectacular backdrops.Beautiful pristine gardens and hedges, expansive rural outlooks or the Pacific Ocean and sensational Maleny skies are all up fpr grabs. Position yourselves in the dappled light of the great Plain trees and frame yourself against the orange splendour of the western sky as the sun dips down beyond the horizon. 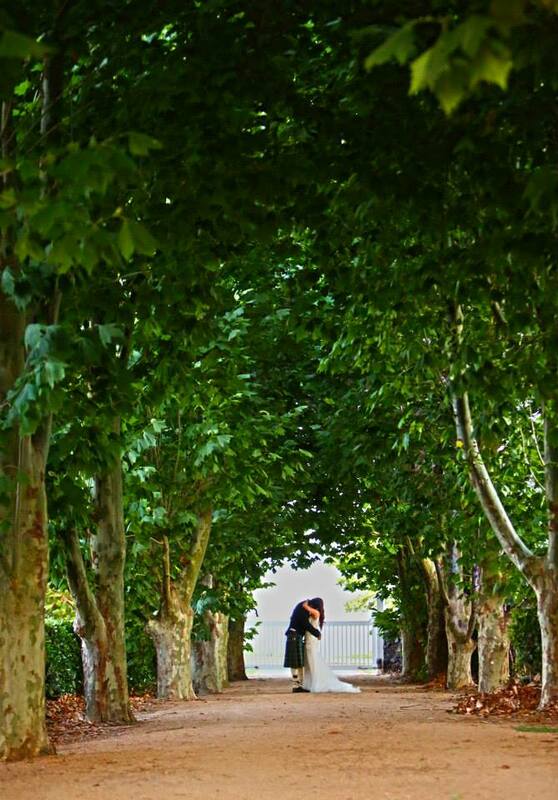 Capture the garter shot amid our French garden furniture under the pergola, take a stroll amid great avenues of trees, pose yourselves in the manicured refinement of hedgerows, or for the rustic look pose beside our 100 year old garden gate. 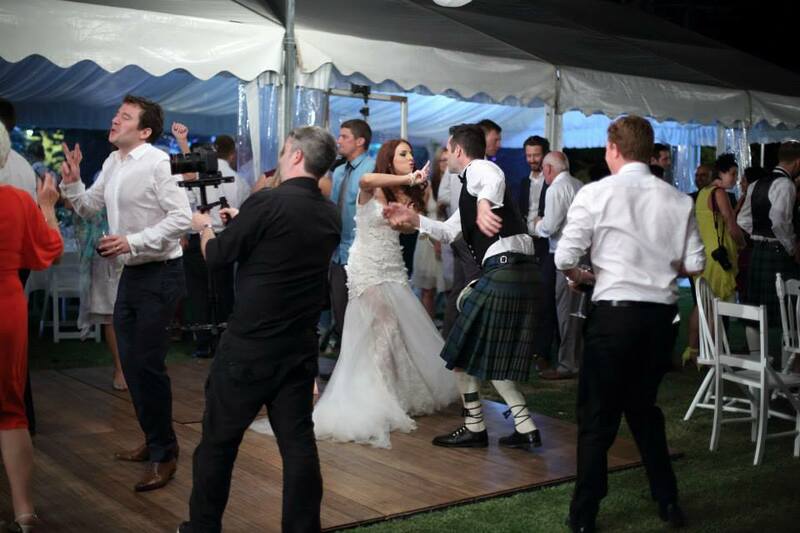 Dance under the stars or pose by the shed….no shortage of backdrops but if you have a special theme let us know and we can arrange additional props and backdrops to make your wedding shots complete. 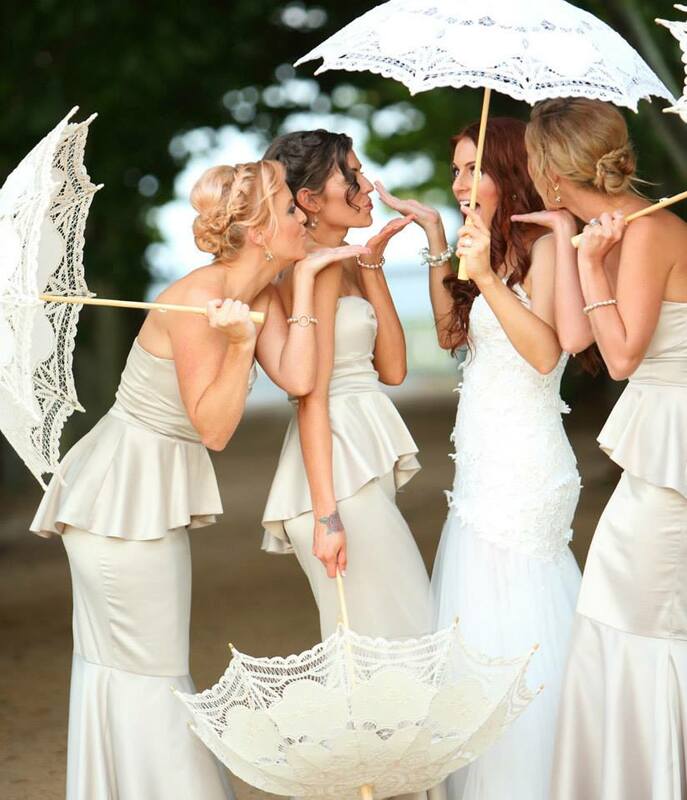 Combine jaw dropping vistas of the Sunshine Coast out over Caloundra, Point Cartwright and Moreton and Bribie Islands with the beauty of nature itself and the perfect Maleny Wedding Ceremony and Reception awaits you here at Vue de Lumieres.